Apple AirPods review- are they worth buying? I was initially pessimistic about the Apple AirPods when they were announced back in October 2016, even going as far as engaging in mild mockery whenever a conversation about them cropped up. The main reason for my dismissal of them was that they looked far too easy to loose. I mean, just look at them! How could they possibly stay put in your ears without falling out(?). My Apple EarPods would always fall out of my ears, but were obviously never lost as they were wired. Furthermore, launch delays were encountered, and the AirPods were finally released to the public in December 2016. I did not preorder a pair. But after watching some YouTube reviews, I was a believer. Here’s why. As I mentioned, my biggest fear was the slippage of the AirPods from my ears. However, after reading and watching a number of reviews, and learning about people’s experiences in online forums, these concerns were easily put to rest. The AirPods were reported to stay firmly in the users ears. Sure, there were some users who just did not get on with them (as with any product), but the vast majority were completely satisfied. Simply put, the W1 chip (developed by Apple) has flawless compatibility with iOS /OSX devices. All I had to do was simply turn on the headphones with a single press to the small power button located on the right ear-piece. A notification popped up on my iPhone screen asking if I would like to pair the AirPods. I accepted and the headphones were paired. Simple! The headphones also automatically showed up on my MacBook. This is because once they are paired with your iPhone, they automatically show-up under all other devices that are signed in with the same iCloud account. A nice little touch was that the headphones were automatically named as “Andy’s AirPods”, just like the Beats Solo³, and the same brief, and now familiar, audible melody chime can also be heard through the earphones. A chime is also heard when powering down. There is also a small headphone icon in the top bar of my iPhone to show that they are connected. It is small little things like this that make these headphones really stand-out from the competition. Following on, although my Beats Solo³ headphones are absolutely incredible, I find the on-ear design to be a little uncomfortable after some time, particularly when wearing glasses. Furthermore, I prefer not to wear on-ear cans in the warmer weather. To this end, the AirPods are ideal as an alternative. Aesthetically, they are pretty much the same shape as the previous wired Apple headphones (which are still also available). As those fit into my ears perfectly, these do as well. Paring via my iPhone was quick and easy. Any reservations I had about them falling out were ill founded. This may depend on your ear-type/shape. As they are identical in shape to the older EarPods, if they did not suit your ears, it is unlikely that these will either. Once I had made my mind up about purchasing some AirPods, stock had already become very constrained. Apple online were showing a March shipping date in the middle of January(!) and other retailers were all out of stock. I tried Apple Stores, John Lewis, Carphone Warehouse and Currys-PC World to name a few. Nothing! I then managed to come across them on the PC-World Business website. Curiously, I ordered a pair and they were delivered the following day. Absolutely brilliant! The AirPods come complete with a charging case and lightning cable for charging, along with the regular quick start guides and warranty information. The AirPods have a quality feel and well designed. Once done, they were immediately recognised on my MacBook as well! At only 4 grams each, they are incredibly light. The charging case, also only a mere 38 grams, is also very handy to store and charge the headphones. Battery life is also very good, with Apple claiming ore than 24 hours when used with the charging case, and 5 hours on a single charge. As expected, usability is very convenient with the W1 chip. You can double-tap the right ear piece to activate Siri. Points of disappointment are that you must use Siri to increase/decrease the volume, change tracks, pause music, etc. As other reviewers have pointed out, it would have been great (and quite basic) to have further controls built into the ear pieces with touch gestures. I doubt a software update could fix this as this appears to be a hardware limitation at this stage. Perhaps a reservation and point of improvement for AirPod version 2? There is not much to say about the sound quality. In all honesty, they are not the best sounding headphones, and certainly not for the price. The Beats Solo³ surpass them in bass, tremble and overall balance. The AirPods are marginally better than their wired version counterparts, which retail for a lot cheaper. As with most Apple products, you are paying for ease of use (in this case the wireless connectivity with the W1 chip), aesthetics and some ways, making a mild fashion statement. 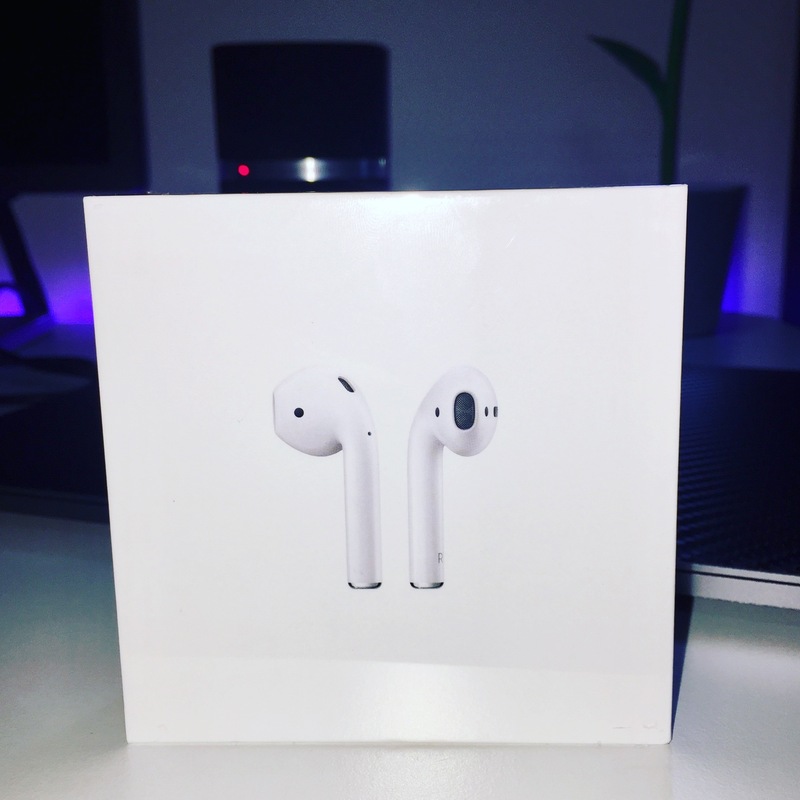 Personally, I would recommend the AirPods if you want/need a set of quality wireless headphones. I am disappointed with the lack of adjustment options on the ear piece. If I want to control anything, I still need to take my phone out. But they are small, comfortable, and reliable. These are all factors I would take into consideration when dicing whether or not to buy them. Plus, they look awesome! !